Louisa and Nick will be taking a break over the next few weeks to get married! Look out for details of our concerts in the new year when we return from our honeymoon! Steinberg Duo becomes an ensemble! 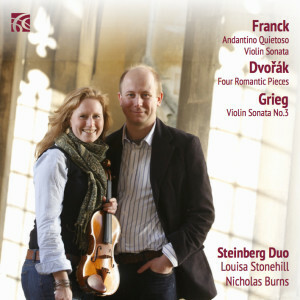 On 26 September 2008 at 7.30pm, the Steinberg Duo will team up with some distinguished colleagues to perform Schubert’s ‘Trout’ Quintet, along with works by Hummel and Mozart in St. John the Divine, Richmond.